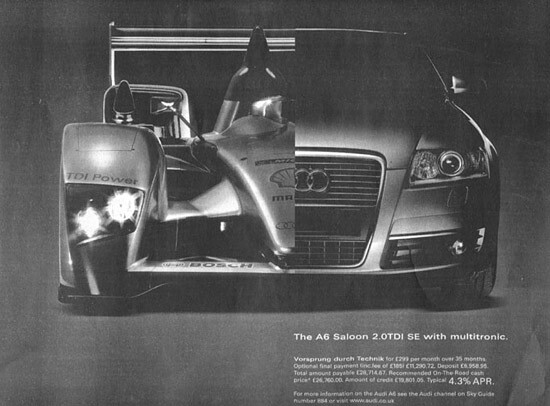 It was an encouraging sign to see two half-page advertisements from Audi in today's Daily Telegraph. This is the second of them, drawing a clear comparison between the V12 TDI engine in the R10 and the TDI in the A6 saloon. Hopefully Audi's marketing of the TDI concept will be reflected in more column inches in the newspaper in June: Andrew Cotton will certainly be hoping so, because he writes the Telegraph's sportscar reports.